Okay guys and gals, let me start by saying THIS IS CHEATING. You CANNOT rely on this method exclusively to eliminate pops. And it doesn't work all the time. 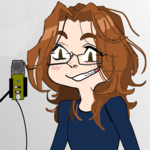 Mostly it's for those short "Woof"-y pops at the beginning of words when your mouth is too close to the pop filter. That said, sometimes you've recorded a lot of audio, and you're cleaning it, and you're not anywhere near a sound booth to re-record. This could save your bacon once or twice as long as you don't come to rely on it as a staple of your everyday recording. Step 1: Highlight ONLY THE SECTION of the audio that has the plosive. If it's in a long sentence, highlight up to the first break in the words. Ideally you should have no more than a half-second to a second selected. 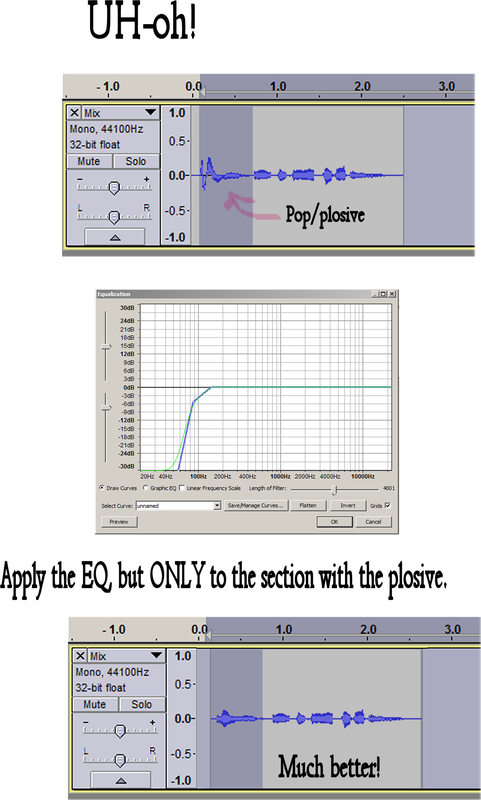 Step 3: Apply EQ and listen again.